Adirondack Tree Surgeons is committed to providing high quality tree services and tree care to customers located in the I-87 Corridor in NY’s Capital Region from Albany to Ticonderoga. We provide both residential and commercial clients with the area’s best professional tree care, including tree removal, stump grinding, emergency tree services, and more. We proudly provide residential tree removal and other residential tree services to clients in Warren, Washington, Albany and Saratoga counties. 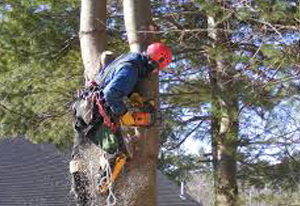 From Ticonderoga to Albany, Saratoga Springs to Lake George, and Glens Falls to Clifton Park, our skilled staff of professional tree care specialists utilize the most modern equipment and latest techniques to ensure no unnecessary damage is done to the surrounding area. 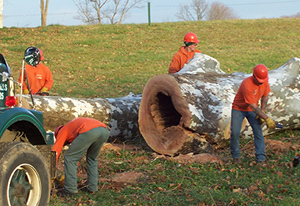 Adirondack Tree Surgeons is also able to provide professional commercial tree removal and services for commercial clients within the I-87 Corridor in Warren, Washington, Saratoga and Albany counties. In addition, we can also service as far south as New York City. Our tree care and tree removal experts are trained in the newest technologies and utilize the most high tech equipment available. With over 30 years of experience working with the NYS Department of Transportation, NYS Thruway and many local municipalities, Adirondack Tree Surgeons can ensure that your job is completed effectively and efficiently. If you’re unsure if we can service your area, please give us a call at 518-792-2225 or complete our Contact form now. We are often providing tree services for the NYS Department of Transportation and NYS Thruway authority in addition to many local municipalities. We are willing to venture out to areas such as Indian Lake and areas East and West a bit more, especially if we have a truck near the area.